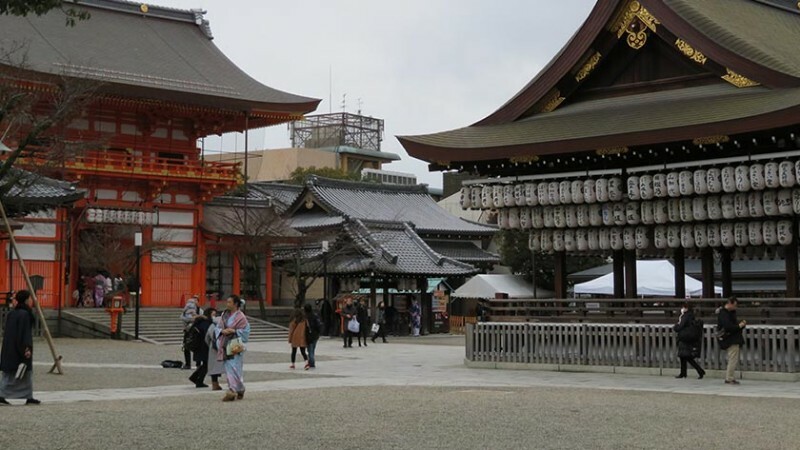 Yasaka Shrine, once known as Gion Shrine, is one of Kyoto’s most famous shrines. Built in 656, the shrine was later patronized by the Imperial house during the Heian Period (794-1185). During an epidemic that was ravenging Kyoto in 869, the mikoshi (divine palanquin) of the shrine was paraded around the city, which was the beginning of Gion Matsuri that continues to this day. The festival has become world famous and draws thousands of visitors. 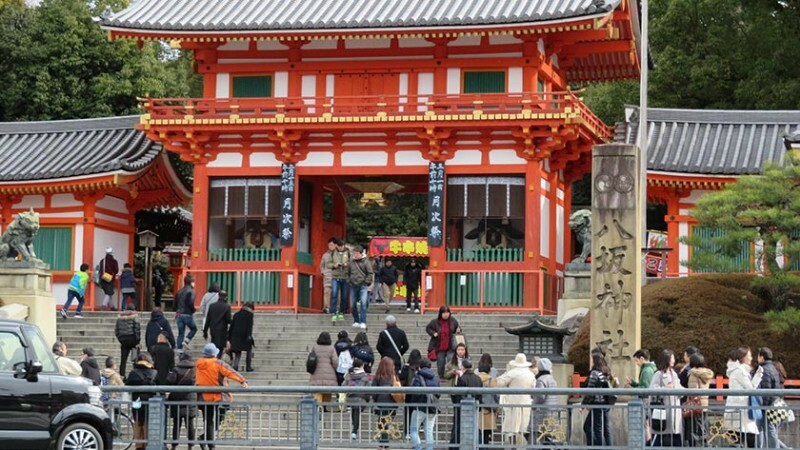 The shrine is situated adjacent to Maruyama Park which is the most popular place to view cherry blossoms in Kyoto. The shrine consists of several gates and buildings including a main hall which combines the inner sanctuary and offering hall. In front of the main hall stands a dance stage with hundreds of lanterns bearing the names of local businesses. 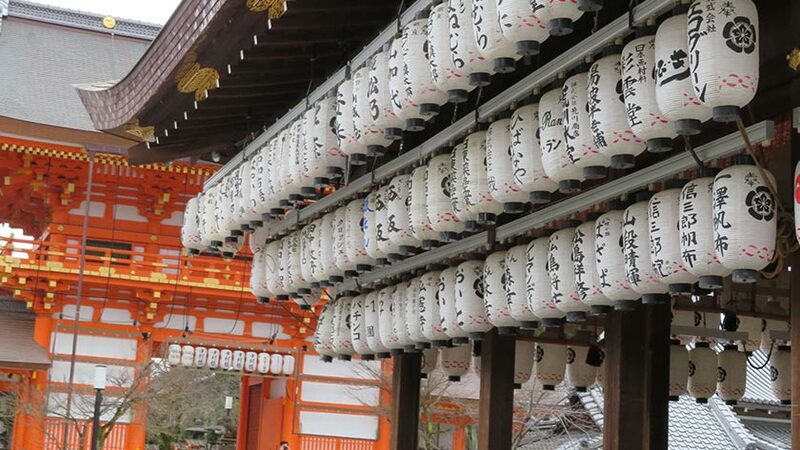 Yasaka Shrine is open 24hrs all year round and is free to enter. 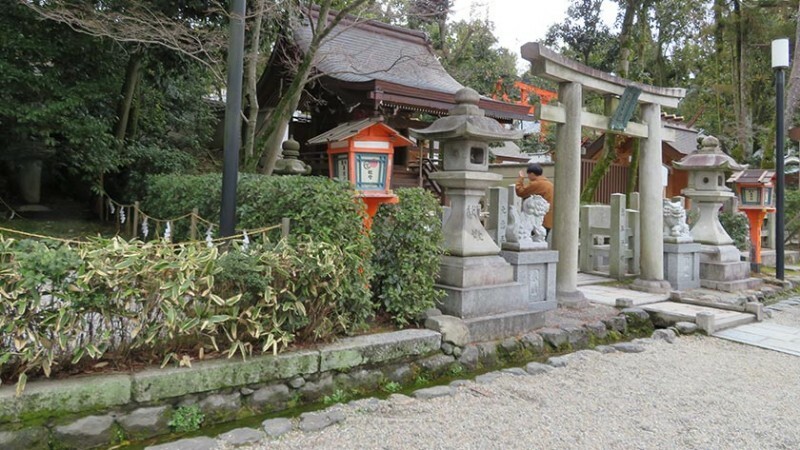 Yasaka Shrine can be reached via bus (Gion Bus Stop) or train. Gion Shijo Station on the Keihan Line (station map, Exit 7 has an elevator) and Kawaramachi Station on the Hankyu Line (station map, elevator at Exit 3 – while there is an elevator at Exit 7, following that route requires using an accessible escalator which can be a bit scary). The main entrance to Yasaka Shrine has a large flight of stairs and is completely inaccessible to those in wheelchairs. 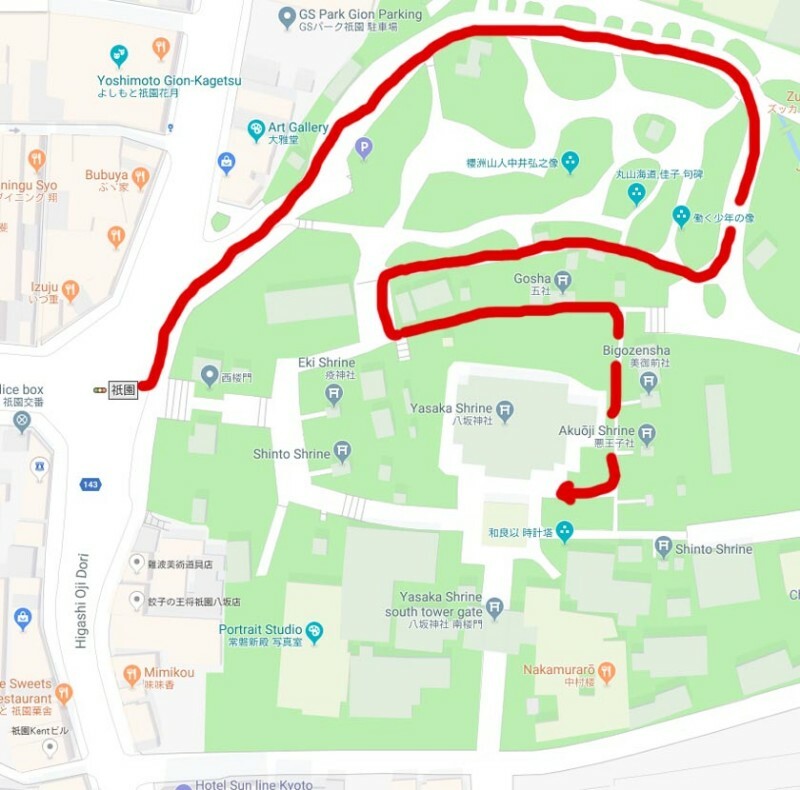 However, it is possible to head North (left when facing the shrine), go through Maruyama Park and enter via a back entrance. Note that it is a bit steep and requires walking on the roadway for a portion of the route. 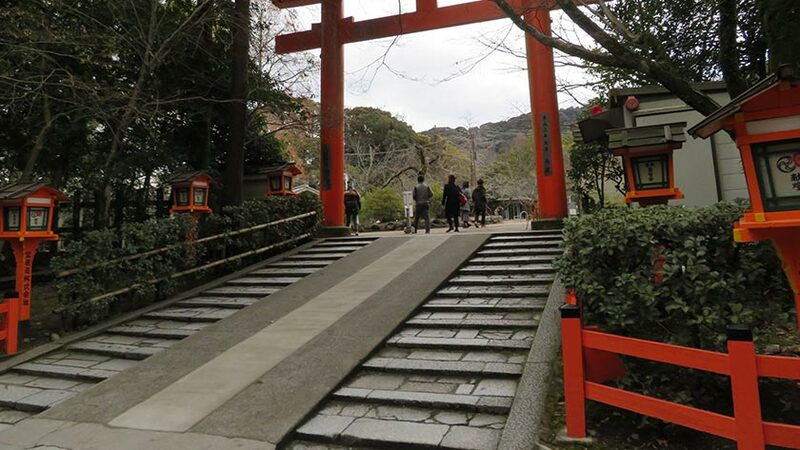 The rear torii gate has a ramp in the middle of the steps but it is a bit steep. 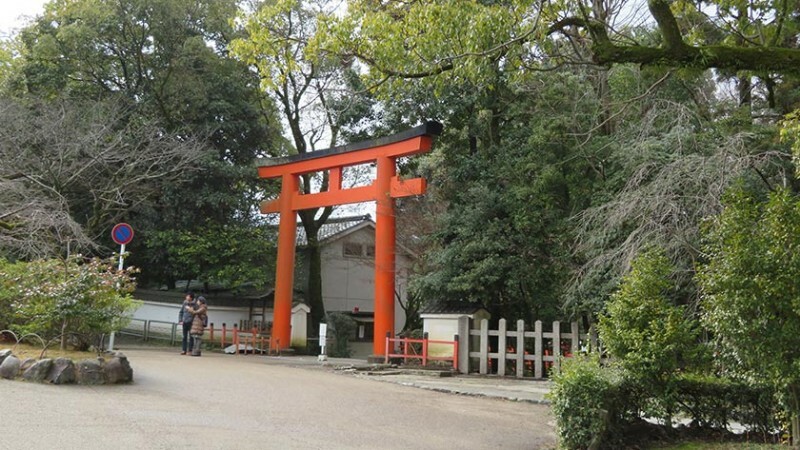 Alternatively, taking the path on the right of the torii gate provides a smoother path. 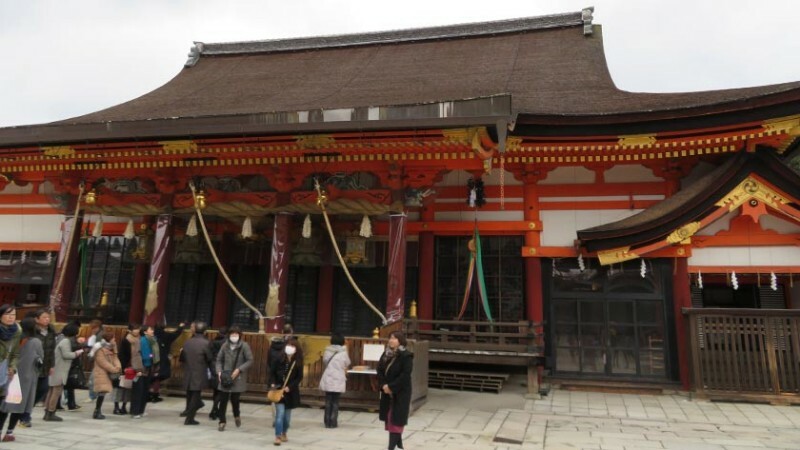 Once inside, wheelchair users can see the main hall, dance stage, and a few smaller shrines and buildings. There are flagstone paths surrounded by gravel and the grounds can be a bit uneven and bumpy. It is possible to enter via the shrine office (from 9:00am and 5:00pm) on the south side of the shrine, but permission is required to use that entrance as there may be weddings or other events happening. 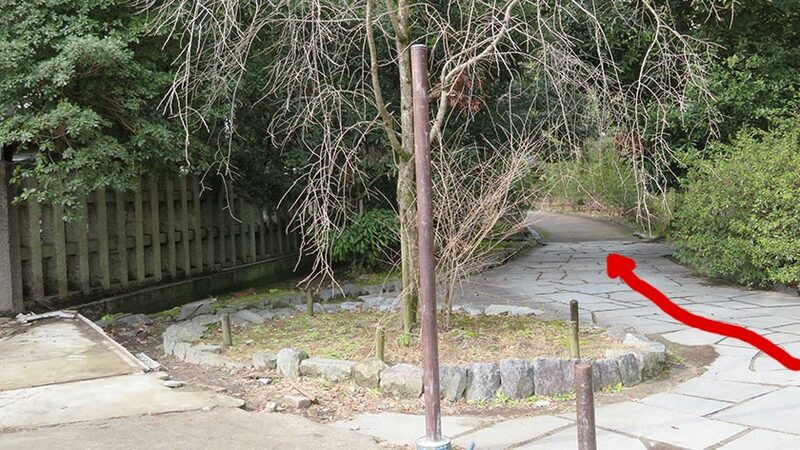 Accessible toilets are not available at the shrine, but some are available in the adjacent Maruyama Park. Don’t give up when you see the steps at the front of the shrine! 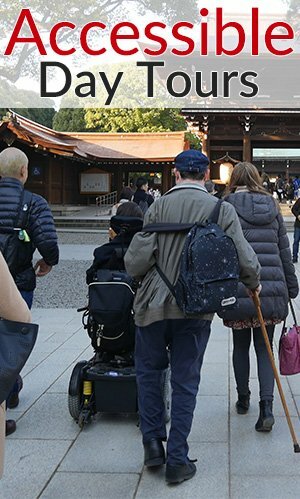 While it is a bit of an extra trip, entering via the rear entrance offers wheelchair users access to most of the historic shrine. Be aware there are no toilets on the premises, so you will need to use either a toilet in the park or at the train station. Leave your questions or comments about Yasaka Jinja here!